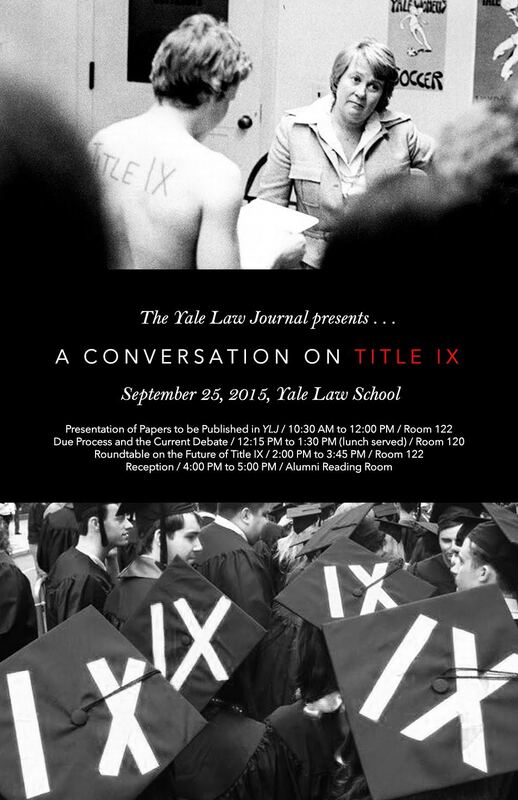 Join the Yale Law Journal on Friday, September 25 for a Conversation on Title IX. The Conversation will be made up of three panel events, featuring a mix of academics, practitioners, and student activists, as well as a reception afterwards. Speakers will include Michelle Anderson, Dana Bolger, Nancy Cantalupo, Nancy Gertner, Catharine MacKinnon, Adele Kimmel, Olivia Ortiz, Alyssa Peterson, and Zoe Ridolfi-Starr.